Ryan Villopoto Trades Dirt For Asphalt March 7, 2019 Watch the four-time supercross champ ride a 2019 YZF-R6. Ryan Villopoto Withdraws From AUS-X Open November 9, 2018 Ryan Villopoto has elected to withdraw from his scheduled appearance at the AUS-X Open this weekend due to the recent death of his father, Dan. Insight: 10 Things to Watch at the AUS-X Open November 9, 2018 Anderson, Villopoto, Reed, Wilson, Brayton, and more line up for the win. 450 Words: Ryan Villopoto October 23, 2018 “Best retired guy” makes another appearance. Fly Racing Racer X Podcast: Red Bull Straight Rhythm October 22, 2018 Weege joins Steve Matthes to talk about the future of the event, the Ryans coming out of retirement, and much more. Gallery: Red Bull Straight Rhythm October 22, 2018 Our best from RBSR. Images by @Cudby. Insight: 5 Things We Learned at Red Bull Straight Rhythm October 22, 2018 Even in a night with star power, the bikes stole the show. The List: What To Watch For At Red Bull Straight Rhythm October 19, 2018 The Ryans return, Pourcel is back, retro bikes, electric Alta, and more. Red Bull Straight Rhythm Pre-Entry List Released October 17, 2018 The pre-entry list for Red Bull Straight Rhythm this weekend has been released and it features some heavy hitters. Racer X Films: Live PulpMX/Racer X Show October 17, 2018 Did the audience laugh, cry or cheer? Check out our Vegas show with guests RV and Bradshaw. 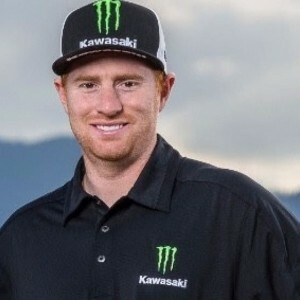 Redux: Ryan Villopoto Returns October 15, 2018 "I didn’t come here to say I’m going to get top five. I would have loved to do that, but it is what it is. I had a great time." Between the Motos: Ryan Villopoto October 13, 2018 RV on his decision to race the Monster Energy Cup tonight. Ryan Villopoto In For Monster Energy Cup October 12, 2018 Four-time Monster Energy Supercross Champion Ryan Villopoto will return to AMA Supercross tomorrow night, as he confirmed he will indeed race the Monster Energy Cup. The List: What To Watch For At The Monster Energy Cup October 12, 2018 MXoN hangover, Webb and Savatgy debut, RV is back, Joker Lane, and more.